It’s a staple in every kitchen and indeed every restaurant table: black pepper. Many would argue that a meal isn’t complete without a healthy sprinkling of the stuff… myself included! Black pepper has been an important part of Western cuisine for hundreds of years, providing a spicy counterpoint to salty dishes and delighting the tastebuds. So what if you discovered that this culinary staple could also work wonders for your health? That would be more than a little convenient, but it’s also the truth! Black pepper can provide many surprising health benefits. These include decongestion, improved digestion, weight loss, exfoliation and so much more. Read on to find out how a little bit of black pepper can go a long way towards boosting your health and happiness. Another study, this time published in the Journal of Medicinal Food, found that both pepper and piperine exhibited a positive effect on gastrointestinal motility disorders. Scientists concluded that this was due to the presence of both spasmodic and antispasmodic effects. 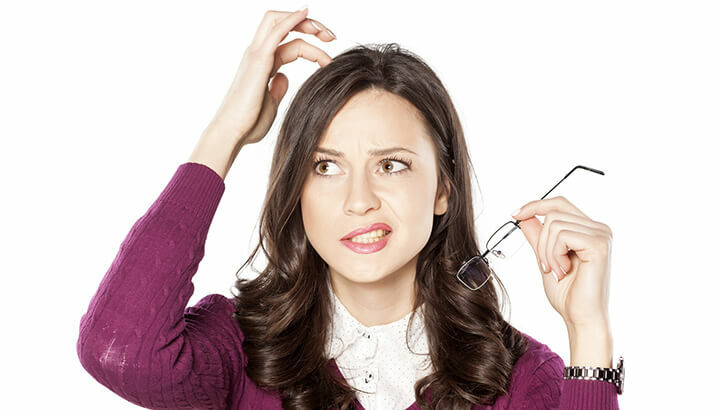 Beyond the scientific jargon, anecdotal evidence backs up these research findings. A healthy sprinkling of black pepper on your meal, or even a spicy hot black pepper tea on a cold winter’s night, can stimulate your tastebuds. It can also signal to your stomach that it’s time to start producing hydrochloric acid. This ramps up your digestive system, meaning your body can metabolize the food you eat more efficiently. Black pepper, and more specifically the piperine found in black pepper, may just be the next new cancer-fighting superfood. A 2010 study published in the Journal of Breast Cancer Research and Treatment certainly seems to think so. 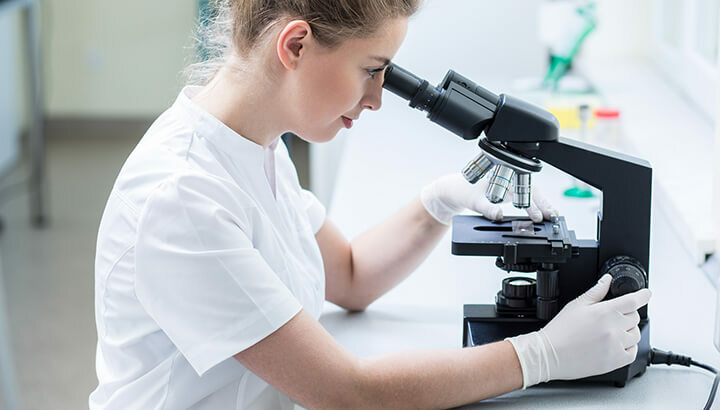 Researchers from the University of Michigan set out to determine whether piperine, an alkaloid derived from black pepper, and curcumin, an anti-inflammatory compound found in turmeric, were able to prevent the stasis and development of cancer stem cells in breasts. The results were very promising, indeed. Piperine was found to inhibit several markers associated with breast cancer development. Researchers noted that, “Curcumin and piperine separately, and in combination, inhibit breast stem cell self-renewal but do not cause toxicity to differentiated cells.” The verdict? The piperine found in black pepper could be a potential cancer preventative agent. The same mechanism by which black pepper boosts your digestive capacity can also help your gut health to flourish. By stimulating the production of saliva in the mouth and subsequently the secretion of gastric juices in the stomach, black pepper may also improve conditions in your gastrointestinal tract. When your digestive system works more efficiently, motility increases and residence time of toxic compounds in the gut is minimized. This allows the good bacteria in your gut microbiome to flourish. And anything that’s good for your gut bacteria is good for you! It turns out that black pepper is not just a seasoning — it’s a nutrition booster! Various scientific studies have shown that eating certain foods, vitamins or health-promoting compounds in combination with black pepper can actually increase their effectiveness and bio-availability within the body. A 1999 study published in the Journal of Nutrition Research used a double-blind, crossover study to measure the ability of black pepper to improve serum response of beta-carotene supplements. Researchers randomly selected study participants to ingest a daily beta-carotene supplement along with either five milligrams of piperine or a placebo for 14 days. The results indicated that significantly greater increases in serum beta-carotene occurred in the piperine group. This showed that the piperine in black pepper can actually help your body to absorb and utilize important antioxidants like beta-carotene more effectively. Other studies suggest that this same nutrition-boosting effect of black pepper also applies to a range of different vitamins and nutrients. Perhaps one of the more notable pairings is between black pepper and turmeric. When consumed together, they provide strong cancer-fighting, anti-inflammatory and several other health-promoting effects. Whatever the food, it’s fair to say that sprinkling a healthy dose of fresh-ground black pepper over it can not only boost the flavor, but the nutritional value of that food as well. According to anecdotal evidence, getting plenty of black pepper in your diet can help to keep your arteries in good shape by scraping excess cholesterol from the artery walls. This, in turn, can reduce your risk of developing atherosclorosis, a condition closely associated with heart attack and stroke. Eating plenty of black pepper with meals has been shown to help reduce gas and bloating associated with impaired digestion. Due to its gastric juice-stimulating properties, black pepper ensures your stomach produces enough stomach acid to effectively break down the foods you eat. More efficient food breakdown means less gas and bloating. Problem solved. Have you ever tried a particularly peppery dish and noticed your eyes watering or your nose running? That’s because pepper is a strong decongestant, making it a great natural ally when you’re suffering from a blocked nose, stuffy airways or sore throat. Increasing the amount of black pepper you eat when you’re beset with a cold or allergies can help to break down excess mucus. It can also help to alleviate your congestion so you can grab a good night’s sleep. 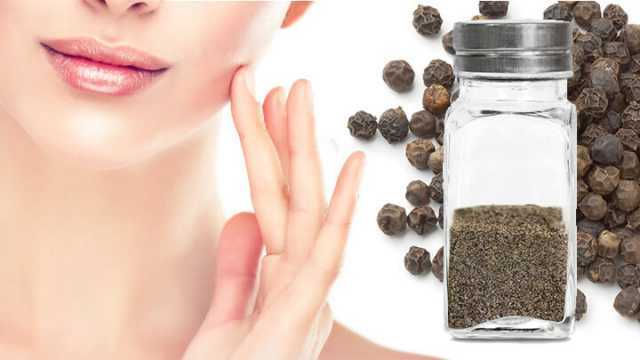 Black pepper can provide an excellent natural DIY skin exfoliator. Simply mix a little ground black pepper with coconut oil or olive oil. This enables you to concoct a great at-home skin treatment. It helps to remove dead skin cells, elevate oxygen contact with new skin cells and stimulate blood circulation. All of which mean younger, more vibrant looking skin for you. Black pepper is a strong natural antibacterial and antimicrobial agent, meaning it can be used to protect you and your loved ones from infection. Simply getting plenty of black pepper in your diet can discourage pathogens, such as bad bacteria and viruses, from invading your body and wreaking havoc. For this reason, making yourself a nightly cup of hot water steeped in whole peppercorns can go a long way towards warding off those seasonal colds and allergies. Countless studies have shown that piperine, the key active ingredient in black pepper, exhibits strong protective effects on the human brain. A 2010 study published in the Journal of Food and Chemical Toxicology found that piperine supplementation “significantly improved memory impairment and neurodegeneration in hippocampus.” The same study found that piperine also demonstrated a neurotrophic effect on the brain, meaning it encourages the growth and survival of neurons. All good news for your brain — and bad news for degenerative cognitive disorders like Alzheimer’s disease. Another study examined the potential of piperine as a side effect-free alternative to common prescription drugs designed to alleviate the brain-depleting effects of amnesia, ADD and Alzheimer’s disease. Researchers found that piperine “exhibited prominent nootropic activity, reversed clonidine-induced hypothermia, decreased lithium induced head twitches and significantly delayed haloperidol induced catalepsy.” In essence, piperine showed considerable promise as a natural alternative to mainstream brain-boosting drugs. In order to get the most from your black pepper, choosing the right product is critical. Ground black pepper products, especially those at the lower end of the price spectrum, often contain molds and other toxins that can significantly throw off the positive health effects of your pepper. In order to avoid this, stick to reputable brands and always go for whole black peppercorns. Get yourself a good pepper grinder. Top your grinder up with the peppercorns on a regular basis to ensure you have a steady, fresh supply of wonderful health-giving pepper. Still not convinced that black pepper is the way to go? Here are a few more reasons why you need a whole lot more black pepper in your life! Hey Buddy!, I found this information for you: "Save Your Brain And Make Your Skin Glow With This Common Spice". Here is the website link: https://www.thealternativedaily.com/health-benefits-of-black-pepper/. Thank you.